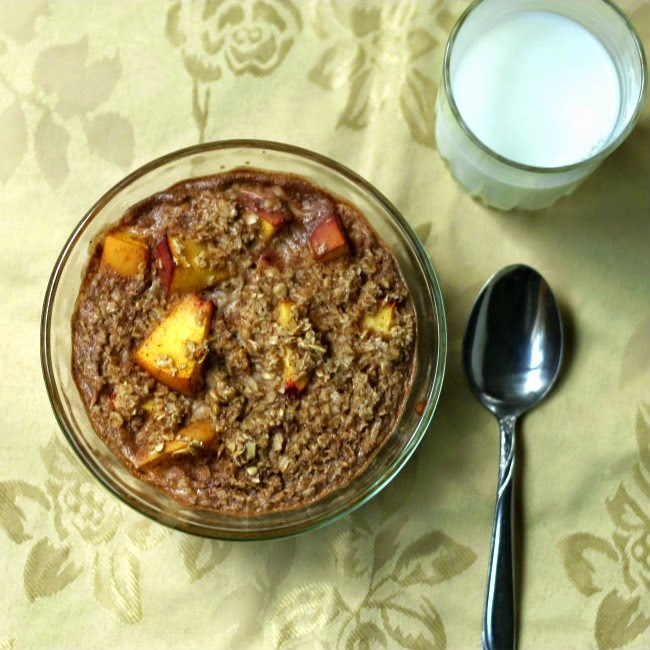 I can’t think of a better way to start off your morning than with a bowl of peach pie baked oatmeal! I have been trying to eat all the summer fruit that I possibly can right now, because I know before too long it will be a thing of the past. Earlier in the week I made my peach muffins, which I also featured in a post. 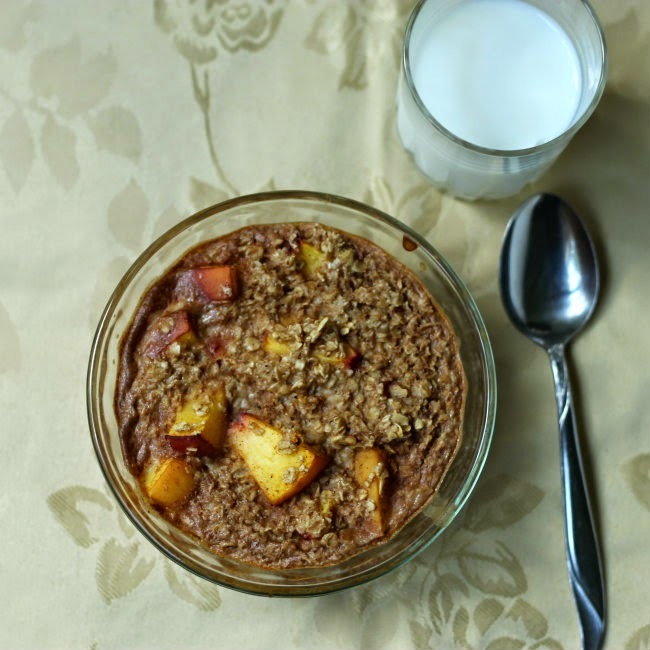 Today I am showing off this peach pie baked oatmeal. I decided to call it this, because after taking the first bite, that is what came to my mind. 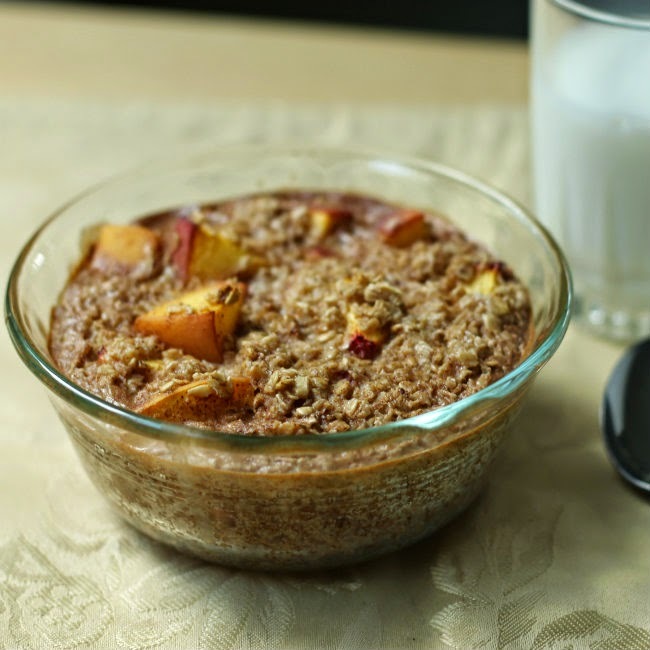 I love the thought of having something called peach pie baked oatmeal for breakfast; but it kind of makes me feel guilty… because pie really is not a breakfast food, right? I ended making this a couple of times this week. The first time I put it into a bowl that was too large, so I knew that my pictures would not turn out well. So I made this right after I came home from work while it was still light enough to take pictures. It smelled so delicious when it came out of the oven that first night I decided to take just one bite and save the rest for my breakfast in the morning. Well one bite led to another bite and then my son came into the kitchen to see what was baking and I had to offer him a taste too… so I think you get the picture now, there was nothing left for my breakfast. Yes, we ate the whole thing. And when I made it the next night… there was nothing left of that one either for my breakfast. 2. In a small mixing bowl add all of the dry ingredients and mix well. 3. In another small bowl mix the milk, yogurt, and vanilla. 4. Add the wet ingredients to the dry ingredients, mix until well blend. 6. Place in the preheated oven and bake for 20 minutes or until lightly browned and set. 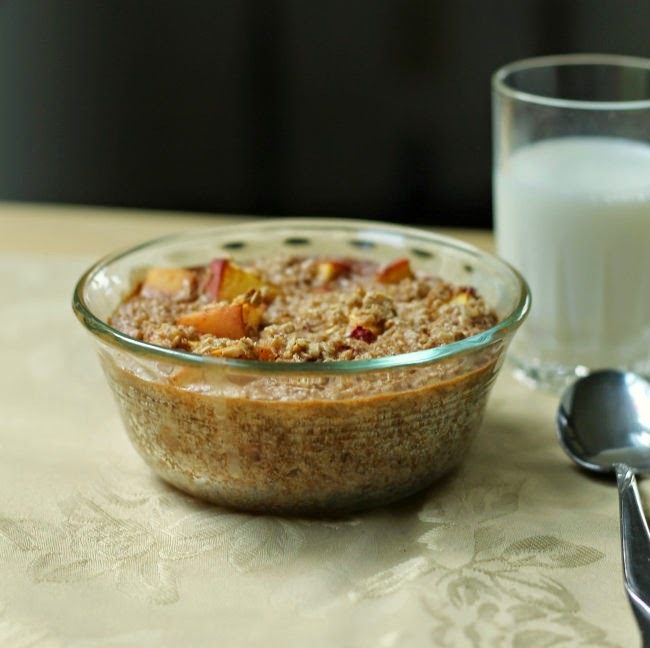 I do these to, a little differently with the formula but the single serving crumbles. Same dish too. Though I have other single serves as well. Just love the simple little dessert like this. Nothing left for breakfast…that is too funny. It has to be delicious.